Staff always helpful. Hotel has started to become a bit dated. Needs freshening up and better cleaning. Quite dusty rooms. They need to care about the music playing so loud in the middle of the night in the covention hall. It was loud and extremely annoying. Could not sleep till 1AM even on the 10th floor. So bad... Otherwise everything was five star. Must find a way to minimize the noise. Excellent, exceptionally friendly service from all the staff I encountered. Delicious breakfast buffet. 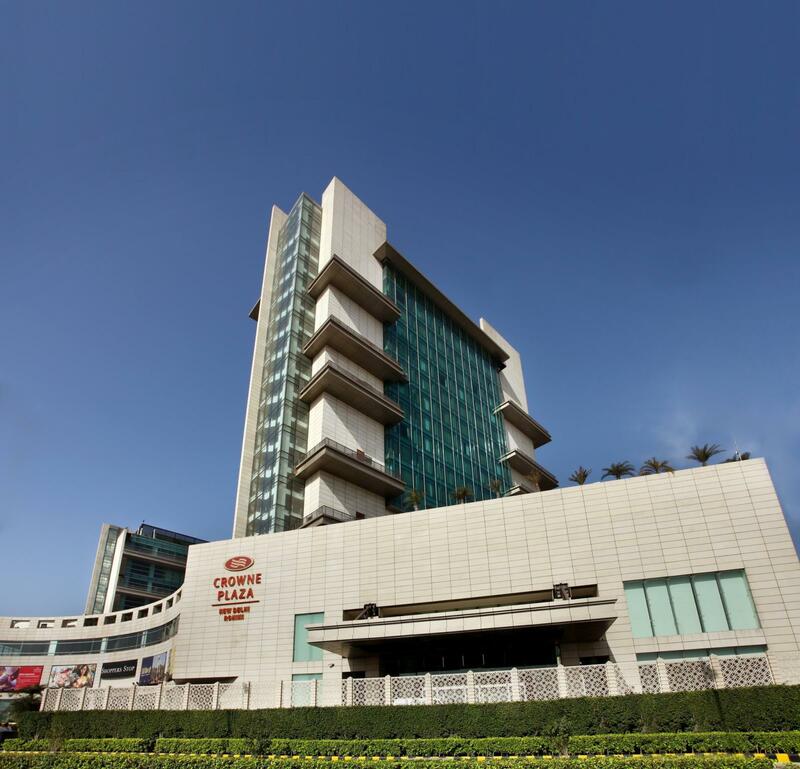 Rohini is quite far from Delhi City Centre, unless you have specific needs to visit Rohini, might be worth considering the other Crowne Plaza properties within Delhi. The room is big & comfortable, room service is awesome. Breakfast variety not much although is buffet, the restaurant manager was attentive after I wrote the comments. Front office staff was nice, but the location is not in the city centre. If you want sightseeing & this not the hotel you should stay. Stayed here for 15 days with family booked two rooms. Check in experience was quick and friendly. Rooms were very nice and clean and super comfortable bed. View out of the window was not too pleasant. Breakfast had a good variety of stuff but the service staff need to be more attentive though the manager Anand was super nice and asked us if we want something special made for breakfast as we will be staying for two weeks. The only problem we faced there was the room keys stopped working every few hours had to go down to the lobby and get the key resetted for both the rooms. Overall,i can say its value for money and i can give 4 stars out of 5. Good breakfast. Inconvenient wifi. good location. Very inconvenient wifi arrangement. Each time you need to note a coupon number, decide upfront whether you need for 1 hour to 2 hour. Gym is good. breakfast is good. Carpets are smelly though. We stayed here for a conference, so it was convenient. The food was excellent, as was the service. The only think is, if you need to go anywhere else, it will take you 90 minutes at least each way. Concierge is good at sorting out private cars for a flat fee for 8 hours. Good value. Beautiful inside, awful outside. The location of the hotel is not near the central part of Delhi. This is not convinenice for traveler. However, the decoration and service is amazing, very polite staff, the pub on the first floor also nice. I liked every bit of my stay, my wife too is pleased with the hospitality received from the hotel. สถานีรถไฟใต้ดิน Rithala - ระยะ 0.32 กม.